I am a lock-pick until the day I die …. Who said burglars never pick locks ?!? ‘I’m a lock-pick until the day I die. They’ll have to pry the lock-picks from my cold, dead fingers,’ Joseph Carbone once said. Condo Joe, slick jewel thief, longtime Miami-Dade police nemesis, bald senior citizen, is back behind bars. Joseph Carbone, 60, was arrested late Wednesday, this time in Palm Bay for a break-in across Alligator Alley in Collier County. Deputies say a husband and wife surprised him just after 1 p.m. Nov. 14 as he rifled through a nightstand inside their condo. Carbone escaped and zoomed off in a black Ford Crown Victoria — but not before the couple jotted down his license plate. ”I’ve spent 30 years chasing this guy and he just doesn’t want to quit,” said retired Miami-Dade Detective Michael Crowley. Crowley and Miami-Dade Sgt. Thomas ”Bulldog” Blake spent decades tracking the old-breed lock-pick thief who targeted high-rise condos and high-end jewelry. In the mid-1970s, Blake drew national headlines for his pursuit of Carbone, who bragged about wearing expensive jewelry while committing heists, stayed at swank hotels and always valet parked. For 18 months, Blake tracked Carbone, tailing him while off duty — even distributing fliers to police along the East Coast while on vacation with his family. His diligence paid off. Alerted to Carbone’s presence, Virginia authorities arrested Carbone with stolen jewelry and a set of lock picks on him. Blake helped arrest Carbone two more times, in 1984 and 1990. Carbone was unabashed about his career choice. ”I’m a lock-pick until the day I die. They’ll have to pry the lock-picks from my cold, dead fingers,” Carbone once told Blake. After a 19-month stint in state prison, Carbone was released on probation in February 2004 but disappeared. He was arrested within a month at the Best Western Floridian Hotel in Cutler Ridge. Found in his room: some 15 lock picks, jewelry, watches — and copies of old Miami Herald articles chronicling his exploits. He was released from prison a month later and finished his probation in October 2005. Though he slipped off the radar, Crowley and Blake suspected he had returned to his old ways. Carbone was again arrested this Oct. 3 in Indian River County. He was found, deputies say, at 10:25 a.m. trying to open a house door, his hand draped with a white handkerchief. A deputy later pulled over Carbone, driving a Ford Fusion rented in Miami. Inside the trunk, deputies found diamond earrings in a box, two pairs of binoculars, a window punch tool, more handkerchiefs — and 12 baseball caps. ”I guess they cover up the baldness,” Crowley quipped. Carbone was charged with attempted burglary, possession of burglary tools and loitering and prowling. He was released on bond. Then in November in Collier County, a husband and wife returning to their two-story condo in a gated community saw Carbone through the bedroom window. He was rifling through the nightstand. ”She ran in yelling and chasing him out of the house,” said Collier County Lt. Chad Parker. Carbone dropped the jewelry and hopped into the Crown Victoria but the couple wrote down the tag number. That proved his undoing, deputies said: The license plate was registered to him. Deputies consulted with Blake, Crowley, and Miami-Dade career criminal Detective John Laughlin. Crowley immediately called a former co-worker at Miami police: William Berger, now the police chief of Palm Bay — where Carbone has been living. By Wednesday night, the old jewel thief was arrested at his exclusive home by Palm Bay crime suppression detectives. Even Berger was surprised at Carbone’s stubborn refusal to quit thieving. ”You don’t see these type of guys around anymore,” Berger said. Palm Bay police arrested career criminal Ã¢â‚¬Å“CondoÃ¢â‚¬Â Joe Carbone while he was wearing pajamas and relaxing at home Wednesday night, spokeswoman Yvonne Martinez said. Palm Bay Police Chief William Berger received a tip from his former Miami-Dade police colleagues that Carbone was staying at 253 Wishing Well Circle, less than a mile west of DeGroodt Road. Police donÃ¢â‚¬â„¢t know if Carbone owned the house or was staying with friends. Carbone doesnÃ¢â‚¬â„¢t own a house in Brevard County, according to property records. About six officers, including the crime suppression unit, arrested Carbone without incident, on a warrant of Collier County, Martinez said. Ã¢â‚¬Å“They didnÃ¢â‚¬â„¢t give him an opportunity to resist,Ã¢â‚¬Â Martinez said. He was taken to Brevard County Jail in Sharpes but later transported to Collier County. Ã¢â‚¬Å“If convicted for the charges on this warrant he could be looking at 40 years,Ã¢â‚¬Â Martinez added. An image can say more then a thousand words …. 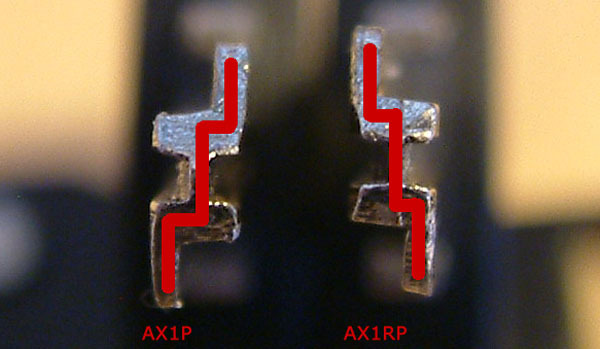 I guess by now quite some people are comparing their key to the above image, hoping their key has the same profile as the AX1RP blank (on the right)….. In cooperation with Kassa TV and one other organisation we performed a little test. In and around Amsterdam we tried to open over 150 bicycles. We got help from random bicyclists, bike shops, and even received assistance from local law-enforcement. Result: we managed to open around 50% of them…. One other interesting fact: we managed to open almost all 583 models (over 90%), as well as a high percentage of SL7 and SL9 locks…. if they used a ‘standard key profile’ that is. 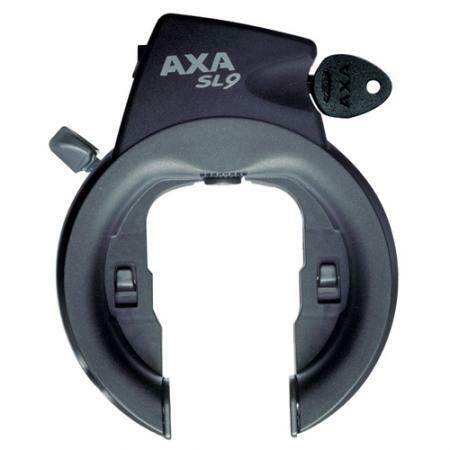 And a lot of SL9 locks were equipped with a mirror image profile. Axa by now admits more locks are vulnerable as they expected before, and they will come out with a report themselves any day now. Curious if they found the same things we did (in our relatively small test). Abus did the right thing … but did AXA do the wrong thing?!? Today ABUS announced (trough an ad in the newspapers) they will send a free lock to everybody that has a lock vulnerable to the ‘blank key’ method. It concerns some of the 48 and 4800 series ABUS bicycle ring-locks. Rumor has we are talking over 100.000 pieces. And they will all be replaced by ABUS … for free. 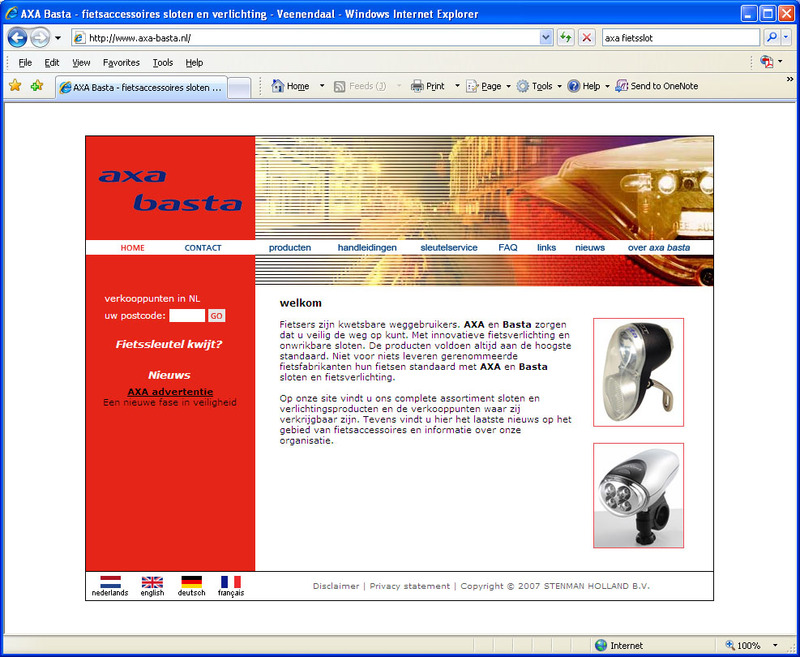 I read a lot of comments on various Dutch webpages AXA should follow ABUS and do the same. People say it is not fair they ‘only’ receive 50% discount on an additional extra lock. Now, I disagree with that, not completely, but still … I disagree. People do not seem to realize all ABUS locks were manufactured after 2005, while AXA produced defective locks between 1998 and 2005. So while a defective ABUS lock is at most two years old (or should I say young? ), an AXA lock on average is five years old, and in some cases even nine years! As far as I am concerned this is old enough not to be entitled for a full refund. I think it is fair to give people a full refund if the lock is under four years old, but after that … you should be happy with your discount. Over the last few days I visited many bicycle shops. A lot of them had stories of customers who did the right thing: they upgraded to an AXA Defender lock and simply paid twenty euro. These people took the warnings in the media serious and did not want to wait to have their bike stolen. Most of them did not even blame AXA. After all, it is a freak accident. A rare mechanical defect discovered by the wrong people, probably by accident. And years after a serious test institute certified the locks. 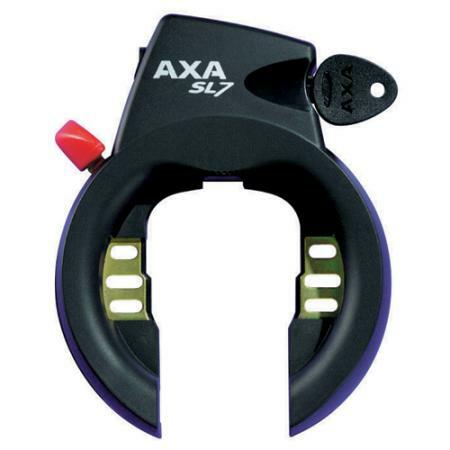 AXA did what it could when these locks were made. Now, I realize not everybody can easily pay twenty euro for a new lock. And not all bicycle shops will change the lock for free, although most feel it is a service to their customers to do so in this specific case. But still, if you have the money, just find a shop that will replace the lock for twenty euro and get it over with. 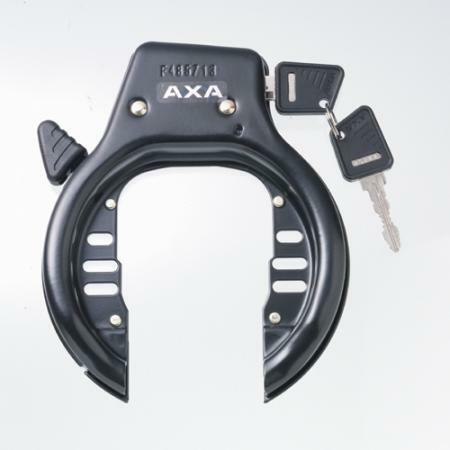 Some Dutch media picked up on my last posting on AXA bike locks, including one of the most popular consumer television programs ‘Kassa’. Saturday prime-time, 1.4 million people watched Dirk Bolderman, head of AXA bicycle locks, answer the question how many locks might have this flaw. His answer: “Between 1998 and 2005 we produced four million locks. We assume 100.000 to 200.000 might have this vulnerability. And the locks can not be identified by their serial number”…. Some people have serious doubts about Mr. Boldermans claims …. The good thing is he did promise AXA will offer 50% discount on new additional bike locks soon. I received mostly positive feedback for pointing out the ‘interesting’ AXA/Abus advertisement campaign. One exception is the Dutch association of bicycle enthusiasts (fietserbond). Normally I sympathize with them, as they are really doing good work for us bicyclists (yes, I ride a bike too). But they are now asking Dutch justice department to take ‘legal action’ against ‘these instructional video’s on internet’. They claim these video’s are criminal because they encourage criminal behavior. Sigh…. Now, there are lots of ways I can defend myself against these ridiculous claims. And I have no concerns on the legal part of it. We have a long list of lawyers that owe us a favor, mainly because of our technical assistance in difficult court-cases (mostly fraud cases were insurance companies don’t want to pay). And legally they do not have a point. Maybe morally, but I think the awareness created by the clip had much more impact then the silly AXA advertisement in the papers. Anyway, good luck to them trying to sue Kassa for warning the public on prime time television …. Update: Volkskrant reporter Michiel Haighton went to Amsterdam Central station to try his luck (video) …. and guess who he met there ?!? According to an article on the front page of the biggest newspaper in the Netherlands, some Dutch bicycle locks are not worth a dime. And they are right. There is a trick to open some of these locks in seconds, causing no damage to the lock. 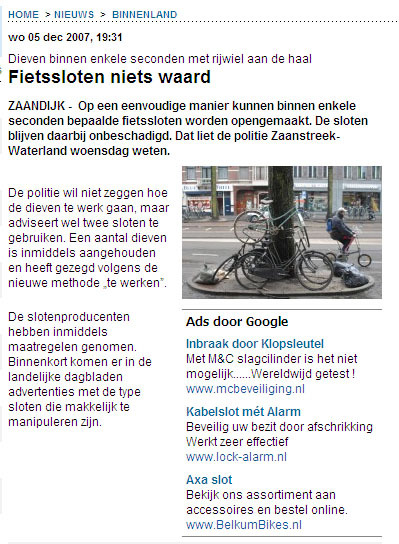 In the article, Dutch police advises to always use two locks to secure your bike (and better lock your bike to solid objects too). Yesterday I learned manufacturers of these locks were going to warn the public using nation wide advertisement in newspapers. Curiously I looked in the newspaper today, and had to look twice. 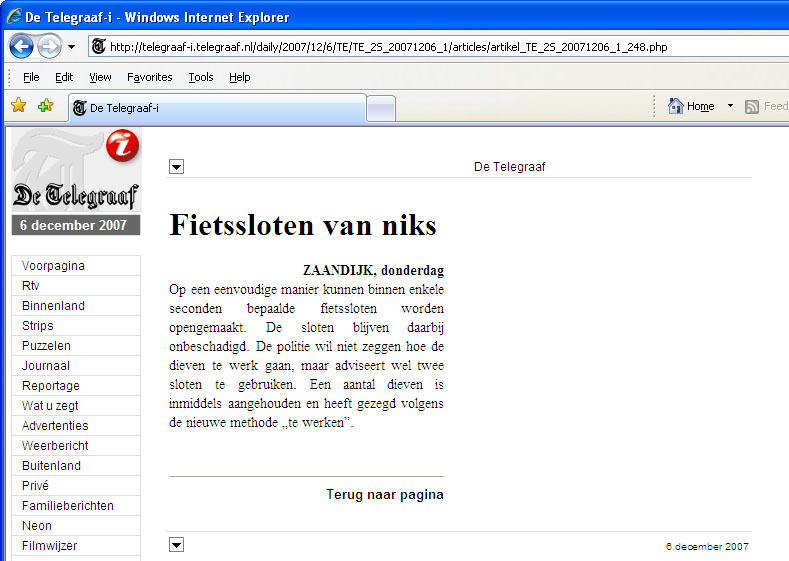 But I found the add on page 26 (of the digital telegraaf edition). I expected the add to say something like: Warning, possible product failure. Instead it said: A new phase in security. First thing the add does is … advertise the new AXA Defender RL as a secure lock. Second it mentions ‘the police discovering a new method of manipulating locks’. This ‘by the police discovered method’ happens to work on ‘some older models SL7, SL9 and 583’. Needless to say police did not discover this method. If they did it would (still) be a big secret. Instead of the police, the guild of bicycle thiefs discovered it. And police found out about it that way. I am real curious if other brands are affected by this too. The AXA website covers the problem the same way as the ‘ad’ in the newspaper. Instead of making a serious effort to warn their customers they just mention on the side of the page: AXA advertisment, a new phase in security. Not something a concerned customer will click on straight away. I am curious were this is heading to, as this story shows great resemblance to problems Kryptonite had in the US. Someone found out these locks could be opened in seconds, without any damage, using just a bic pen. That story started with some denial, but ended with Kryptonite publicly making a lock exchange offer. I am curious if AXA thinks it is going to get away with this, or if they are going to make the same offer to their customers as Kryptnite did…. I have know for at least a week there was a problem with the AXA locks, without knowing the details. My locksmith friends were swamped by kiddo’s asking them for SL7 blanks (really, for a science project at school sir). And when I visited the bicycle shop around the corner they told me quite some people had their bikes stolen…. The bicycle shop gave me two locks from their garbage bin for me to experiment on. It only took me a couple of minutes to figure it out and open them both. And since every bicycle thief in the Netherlands already knows how to open these locks, I do not mind sharing the trick with you (18 MB quicktime movie or youtube). And please do not complain about me teaching malicious people how to open locks. Complain to the manufacturer of the lock that makes locks ‘that are not worth a dime’ …. Update 08-12: Abus does not only seem to have the same problem as AXA, it looks as if they also share the same marketing people. 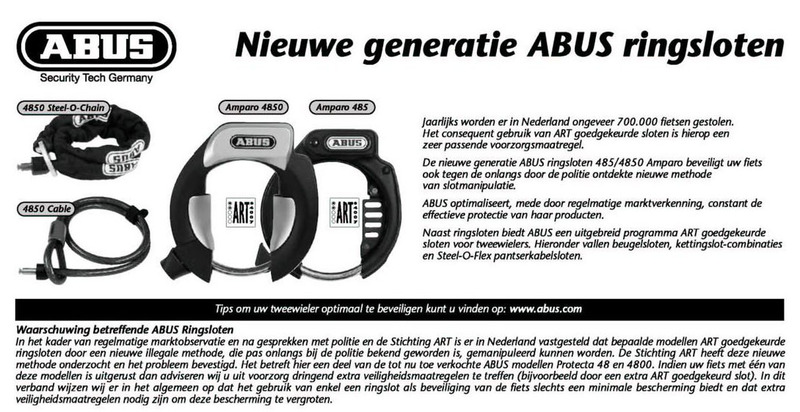 The head of the ad in the newspapers today says: New generation Abus bike locks. And it does mention some ABUS Protecta 48 and 4600 can be opened using an ‘illegal method’. Who’s next? Entries (RSS) and Comments (RSS). 45 queries. 0.556 seconds.